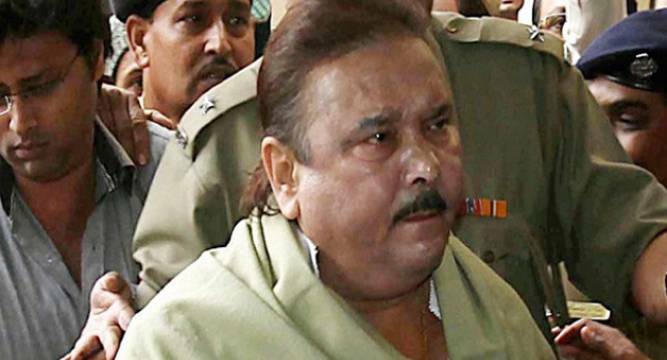 Trinamool Congress MP Saugata Roy said jailed former minister and TMC leader Madan Mitra will get a party ticket to contest coming Assembly elections in the state. “Madan Mitra will again get the ticket and will fight the elections and he will win also. It is not the leader who wins elections, it is party cadres whose hard work ensures the victory of the leader. So, you all have to work hard to ensure his victory,” Roy said while addressing a party workers’ meet in North 24 Parganas district. Mitra, who was arrested by the CBI in 2014 for his alleged involvement in Saradha scam, is currently lodged in jail. Roy’s comment comes in the backdrop of speculations that Mitra, the MLA from Kamarhati Assembly constituency, might not get a ticket in the elections. Former state Transport Minister Mitra had submitted his resignation from the post of minister last year.